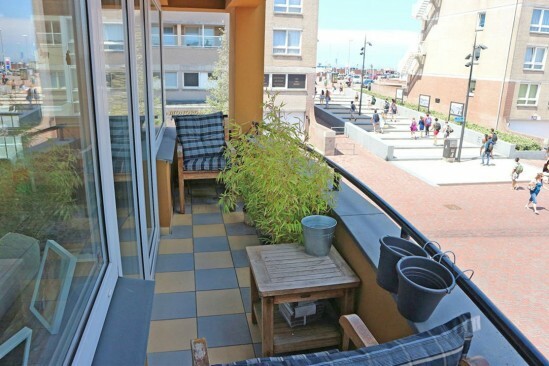 This appartement inside a small complex on the first floor has a large living room with a north facing balcony, west facing french balcony, open kitchen, 2 bedrooms and a modern bathroom. The garage is on the side of the complex. By the staircase on the side of the complex you reach the first floor with your entrance door. The cosy living room with butterfly balcony doors to the balcony is very spacious and bright. The open kitchen has a nature stone working plate and a gas stove with 5 burners. Also a fridge/freezer combi. In the backside of the appartement are the 2 bedrooms and the bathroom. The large bedroom is westfading with the French balcony. The bathroom with toilet has a large walk-in shower with glassdoor and also a french balcony. The whole apartment has marmol floors with under floor heating. Questions about Casa Estacion 390?